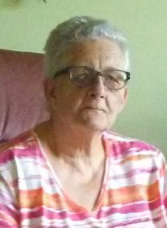 Sherry L. Walker 70, of New Bloomington, died peacefully Thursday evening March 21, 2019 at the Marion General Hospital. She was born December 9, 1948 in Marion to the late Bernard “Pete” and Ethel Mae (Stanbaugh) Apthorp. Sherry was a private person who cared deeply for her family, they always came first. She enjoyed traveling, California was one of her favorite spots. She also enjoyed watching and feeding the birds and squirrels, but she truly loved seeing an eagle. So sorry for your loss at a time like this there are no words. Again we will miss her. Loved getting her going.But we know she is in a better place.